It has been a year since the showdown between Bill Nye “the Science Guy” and Ken Ham “the Six-Thousand Year-Old Earth Guy”. Bill Nye caught a lot of flak from scientists for debating Ham because a “debate” implies two equally credible options. Even the BioLogos Foundation (dedicated to an evolutionary understanding of creation) discouraged the Ham/Nye debate because debates imply that you must choose between evolution and faith. Public debates are favorites of creationists – the limited time format and simplified concepts needed for a non-scientific audience usually favor the creationist debater. Debaters often employ the “Gish Gallop” (named for a famous creationist), a debating strategy in which an opponent is deluged with small arguments that can’t possibly be answered in the allotted time. If all arguments are not refuted, the creationist debater declares victory. 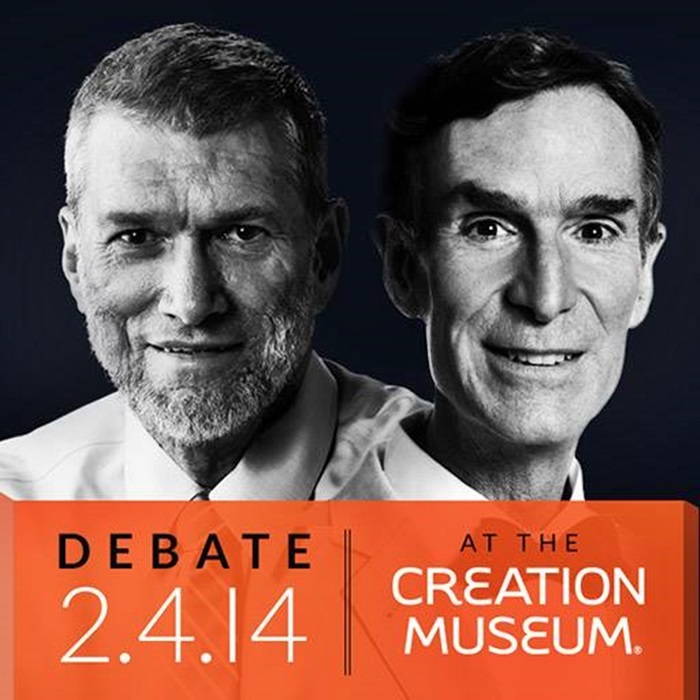 When the Institute for Creation Research scheduled their November 2014 anti-evolution “Origin Summit” on the campus of Michigan State University, their first move was to organize a debate. Unfortunately for the group, the science faculty banded together and refused to participate in a debate with the creationist group. Not only did the science faculty refuse to debate, they refused to comment publicly or on the record until after the event was over. The faculty of MSU steadfastly refused to elevate the status of creationism to science. A few Michigan State students did, however, set up an outreach booth as a good-will gesture to the summit attendees. Even so, the student volunteers chose not to engage in debate. We don’t debate evolution because it’s not debatable. It’s like debating the existence of Canada. 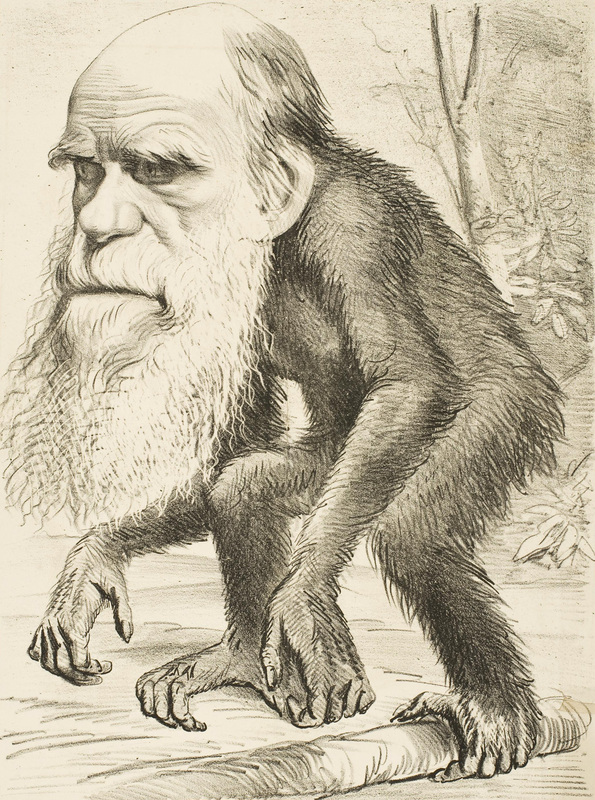 Certainly no scientist has been more maligned or been the subject of more unflattering caricatures than the author of evolution theory, Charles Darwin. But Charles Darwin wasn’t the only or even the first of his day to suggest that living things evolved from a common ancestor. Other scientists had suggested it, including Darwin’s own grandfather. Darwin developed the theory of evolution in the late 1830’s, but he never published a paper– he planned to present it in one all-inclusive book. Meanwhile, another naturalist (as biologists were called at the time), Alfred Russel Wallace, had arrived at a very similar theory of evolution. Both Darwin and Wallace presented papers in 1858, but the papers were ignored. It was Darwin’s book On the Origin of Species published the following year that caused a scientific and cultural earthquake. Darwin’s big idea eventually revolutionized science and became the foundation for all of modern biology. Darwin said that evolution occurred because of natural selection: living organisms vary, and some of these variations will better suit individuals to the environment. Individuals that are better suited for the environment will live longer and produce more offspring, thus passing down the traits to future generations. Beneficial traits are retained, useless or harmful traits disappear. Over time, a new species will emerge. Darwin himself realized that there was a gaping hole in his theory: offspring obviously had a mix of their parents’ traits, but how were traits passed from parents to offspring? Little cell seeds – that was Darwin’s answer. According to Darwin, each cell in the body sheds little cell seeds (Darwin called them “gemmules”). Little cell seeds from both parents blend together to form the offspring. Some gemmules are stronger, so they dominate over the others. Big problem: if traits are blended in offspring, it would not be very long before beneficial traits are diluted out of future generations. Darwin’s explanation of how traits are passed from parent to offspring was, in a word, wrong. Lacking an answer to the problem of heredity, enthusiasm for Darwin’s theory waned. Super Monk to the Rescue! While Darwin was busy in the 1850s developing his theory and writing his book, an Augustinian monk was painstakingly carrying out detailed botanical experiments in Brno Abbey (now part of the Czech Republic). The Abbey had a long history of scientific inquiry – specifically in the areas of agriculture and plant science. 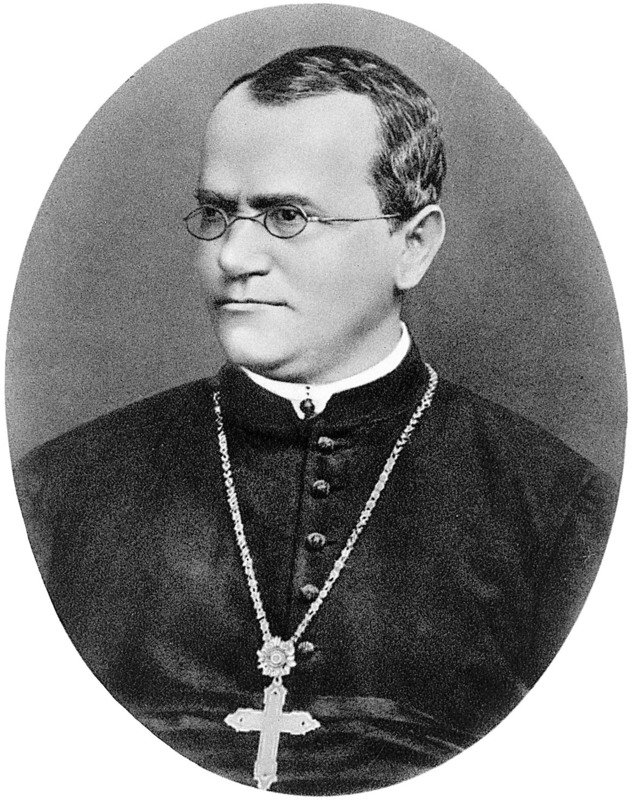 Gregor Mendel studied the inheritance of traits in pea plants – wrinkled or round seeds, yellow or green pods, and other easily identifiable traits. After eight years, thousands of crosses, and meticulous statistical study, Mendel determined that traits are not blended in offspring but are inherited whole. Mendel published his work in 1866, but no one paid attention. Almost twenty years after his death, Mendel’s work was rediscovered, breathing new life into Darwin’s theory. Before long we discovered that DNA is the chemical that holds the information for traits in all living things… then off we went, full-steam ahead into the 20th and 21st centuries and the age of genetics. We now understand that traits, inherited from parents, are combined in unique ways at conception. Unless you are an identical twin, you differ genetically from your siblings. In addition, mutations (copying mistakes in DNA) occur frequently, and these can change a trait. When humans or any living organisms are born with traits that better suit them to their environment, their chances for surviving and having lots of offspring increase. Being wildly wrong is perfectly healthy in science, because when someone comes along to prove that you’re wrong, that’s progress. Somewhat embarrassing progress for the person being corrected, sure, but progress nonetheless. 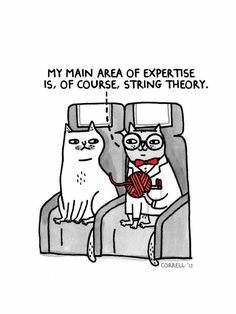 Science theories explain. A science theory isn’t speculation or even an “educated” guess. A science theory is an explanation that fits the evidence. For an idea to gain the status of “theory” in science, it must be confirmed consistently by observation and experimentation. As new evidence is discovered, a theory may be adjusted or tweaked, but the underlying principles remain unchanged. Gravity is a theory. The earth orbiting the sun is a theory. There’s also germ theory and molecular theory. And, of course, evolution theory. As precise as these are, they are still incomplete. We are still tweaking as evidence unfolds. Darwin theorized that all living things evolved from simpler forms because of natural selection. What Darwin did not know was all the ways natural selection occurs. We are learning more and more about the “how” of natural selection and how species separate from each other, but the theory – the fact – of evolution remains true. Science theories have predictive power. A good theory allows scientists to make predictions that will turn out to be roughly correct. When Darwin died, the fossil record was not nearly what it is today. And there certainly was no genetic evidence, much less mapping of genomes. Yet – fossils of both plants and animals were found just where we expect they’d be found – just where Darwin’s theory predicts they will be found. For example, fish are found in older rock than are amphibians, and Tiktaalik (the famous fish to amphibian transitional fossil) was found in between. The explosion of genetic data over the last two decades doesn’t just show apparent relationships between living things, it shows actual relationships. DNA evidence is the smoking gun – concrete evidence of the interrelatedness of all living organisms. In courtrooms across the United States, as well as in state boards of education and textbook hearings, advocates have fought for creationism (and its science-y sibling, intelligent design) as an “alternative” theory to evolution in science classrooms. Both young earth creationism and intelligent design claim that all life was designed and created specially, uniquely, and separately. If this is true, then all predictive power is lost. If every organism is self-contained, there are no patterns to discover. There are no relationships to discover. Any direction we look for new information is just a shot in the dark. Kenneth Miller is a biologist, author of a best-selling biology textbook, and a Christian. As an expert witness in the landmark Dover court case, Miller argued that creationism and intelligent design have no place in the science classroom. If non-natural causes are considered legitimate science explanations, Miller reasons, then all science ground rules change. Why bother to conduct an exhaustive molecular search through primate virus genomes to find the source of HIV if it was sent from God as a divine warning? Why study the physics of light if the rainbow is a phenomenon given to us by a “whimsical” designer (according to William Dembski, a leader in the Intelligent Design movement)? Science is predictable and explainable because it deals with natural causes. Young Earth Creationism and Intelligent Design can’t predict. They can’t explain. They aren’t science. What Does the Theory of Evolution Say About God? The theory of evolution says nothing about God. The theory of evolution says nothing about how life began, or how matter came into being. The theory of evolution explains how life developed once it got going. Darwin could not have imagined the vast and diverse evidence we have now that supports his theory. Trying to do biology without evolution would be like trying to do physics without mathematics. Grammy-nominated and Dove Award-winning Christian singer/song writer Michael Gungor (front man for the band Gungor) is in hot water. A church cancelled a September gig and Ken Ham is really, really mad at him. There have been quiet rumblings about Gungor before, but following a February post on the band’s home page, suspicions picked up steam. An on-line response by the e-magazine World to Gungor’s post quickly made the internet rounds. 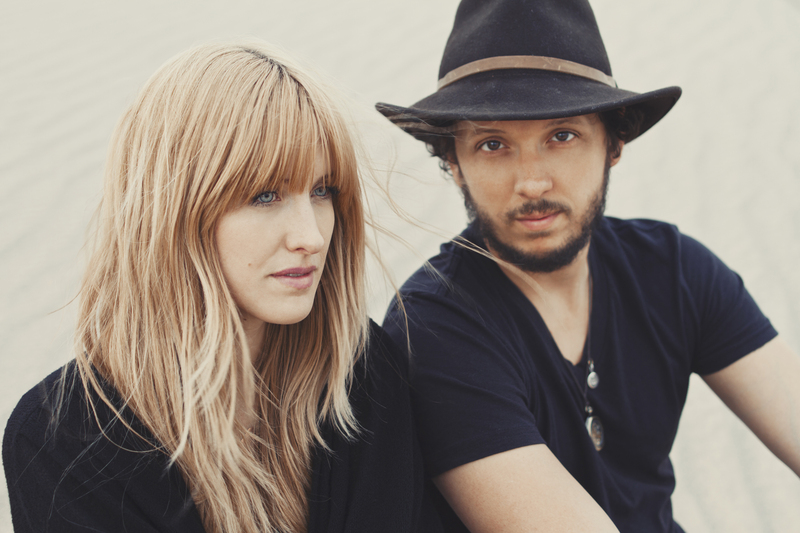 According to World, Michael Gungor, creator of beautiful, deeply spiritual, award-winning Christian music, is “drifting from Biblical orthodoxy”. Because he no longer believes in God or in Jesus as the son of God? Because he no longer believes that the Bible is God-breathed and useful? Because he no longer believes in miracles or the resurrection of Jesus? According to his critics, Michael Gungor is drifting from the foundational principles of Christianity because he doesn’t believe in a literal, seven-day young earth creation or in a literal, world-wide flood. Literalists assumed that because Gungor and his band sing a lot about “creation”, they must be young-earth creationists. Gungor’s response: “Gungor is not, and has never been a fundamentalist band seeking to spread young-earth, biblical literalism across the planet”. Michael Gungor is in hot water and accused of unorthodoxy because he doesn’t read Genesis 1-11 as a literal, historical recounting of events. Actually, a literal-only approach to the Bible is a fairly new development in the 2000+ year history of Christianity. Important theological writers in the early centuries of the church did not insist on a “it says what it says” approach to scripture interpretation. Of course early church writers did not recognize the conflict between modern science and a literal reading, but they still were not literalists. Origen of Alexandria (born 184/85 AD) was a brilliant and influential voice in early Christianity. During Origen’s lifetime, the church in Alexandria emerged as a theological and intellectual hub of Christianity. 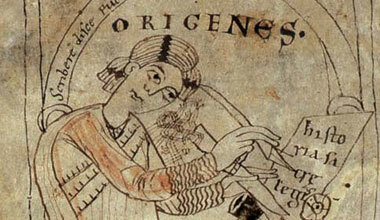 One of Origen’s most important contributions was the publication of a Greek translation of the Old Testament. Origen used the earliest Greek translation (the Septuagint) as well as newer Greek translations and older Hebrew translations in his massive Old Testament work. Origen was the first Christian scholar to deal with the variations found in multiple translations of scripture and how those variations impacted the meaning of the scripture. Origen also taught that scriptures were multi-layered and the student of scripture must drill down and unpack all the meaning found within. Interestingly, Origen developed this approach to scripture in response to early unorthodox teachings (heresies), particularly the Gnostic teachers. It was the Gnostics (the unorthodox) who were reading scripture in a literal and “it says what it says” way. Purely literal readings of the Old Testament lead the Gnostics to teach that God was petty, erratic, and had a physical body. Augustine of Hippo (born 354) is considered by many to be one of the most influential Christian thinkers in history. He was a prolific writer and was profoundly influential on the protestant reformers. Augustine was definitive on this point: although God speaks to the Church through scripture, the Word of God is Jesus Christ. Like Origen, Augustine taught that scripture is multi-layered in meaning. Augustine also insisted that the original intent of the Biblical authors be considered. Augustine wrote extensively and specifically about the creation story in Genesis. Augustine did not read the creation story literally – not because he wanted to accommodate modern science, but because the text did not demand a literal reading. Augustine rejected the notion that God created the universe in six 24-hour days. According to Augustine, the entire universe was created in an instant and the creation story is a metaphor describing various dimensions of creation. If they find a Christian mistaken in a field which they themselves know well and hear him maintaining his foolish opinions about our books, how are they going to believe those books in matters concerning the resurrection of the dead, the hope of eternal life, and the kingdom of heaven…? The Dallas Morning News recently featured nine men, all Ph.D.s, all working toward the same goal: prove, using science, that the Genesis creation story is literally true – a historically and scientifically accurate account. These researchers at Dallas’ Institute for Creation Research are starting out with a belief in literalism and going on a hunt for facts to back them up. Henry Morris III, CEO of the Institute, readily admits that these professors are pariahs in their fields. Because ICR professors reject evidence accepted by virtually every scientist in the world, it’s a showdown in Big D: ICR vs. science. Suddenly, Augustine doesn’t sound so fourth-century. If God really does exist, he shouldn’t be lying to us … And if he’s lying to us right off the bat in the book of Genesis, we’ve got some real problems. Morris and ICR are laying down the law that a literal Genesis is a requirement of real Christianity. Gungor’s recent statements are particularly damaging because they may mislead youth and discourage them from accepting the Gospel of salvation. Mark Mann, writing at BioLogos, called creation and scripture the “two books of God”. The book of Creation reveals God, and declares his eternal power and divine nature. The book of Scripture reveals God’s relationship with human beings. I believe that the heavens declare the glory of God. I believe that day after day the cosmos pours forth speech and night after night the cosmos reveals knowledge. I trust that the evidence and knowledge that is revealed is true because the Creator of the cosmos is Truth.